So far I have watched the first 4 of 25 episodes expected in the first season of the latest Gundam Series. I have been excited about this new Gundam series for months and I wrote about it in June. The story is very Gundam-like and revolves around a private organization calling themselves Celestial Being using the power of advanced mobile suits called Gundams in their quest to end all wars. Also in typical Gundam fashion a simple story is complicated by a huge cast of characters and the viewer sees the progression of the Gundam 00 story through these various characters. It’s a bit too early to say if I like Gundam 00 or not, but I do look forward to each episode and I have already found my favourite suit and pilot. 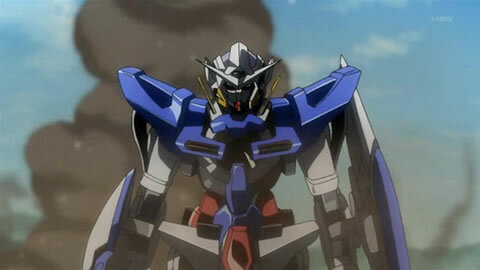 I have always been a fan of the big, high damage dealing Gundams like Heavy Arms instead of the pretty, agile, and flamboyant types and so far it seems that Gundam Virtue is the spiritual successor to my Gundam Wing favourite and the baddest mofo (imho) in Gundam 00.
Who else been following Gundam 00 ? I’m up to eps 4 too. I love gundam and I’m patiently waiting for eps 5! I’ve never watched the manga but I love the L’arc~en~Ciel song "DAYBREAK’S BELL", which I believe is the themetune to this. Wait? You like Heavy Arms but you don’t like Wing Zero, with its massive cannon? 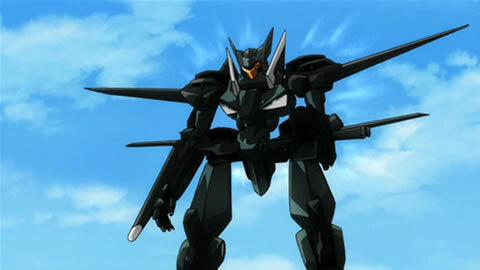 Wing Zero = Best.gundam.ever. I have a think against liking main characters…and wing zero was just too overly cool and overpowered. The custom flag totally pwned Exia lol, but thats only because Setsuna was caught off guard, I believe. We’ll see how it goes when the two meet again. This anime isn’t too bad… but as far as anime goes it’s not to memorable as yet. 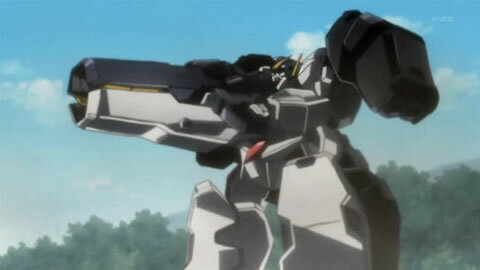 what about dynames the sniper type that shoot in to the air from the ground and kyrios the fighter plane that intercepts missles?